With a free heart and the courage to follow it, he fought the city to permit the first breweries in modern-day Dallas. Now he's taking the fight to the Supreme Court. 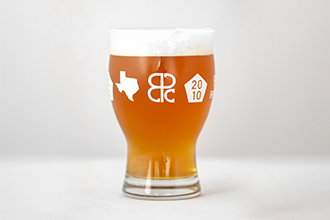 While reasonable people can disagree, the following statement is one of fact, and arguing against it would only invite derision: Michael Peticolas makes the best beer in Dallas. And when I say Dallas, what I really mean is North Texas. So basically the whole state. In July, at the U.S. Open Beer Championship, in Oxford, Ohio, judges from England, Canada, and the United States evaluated more than 6,300 beers from all over the world. 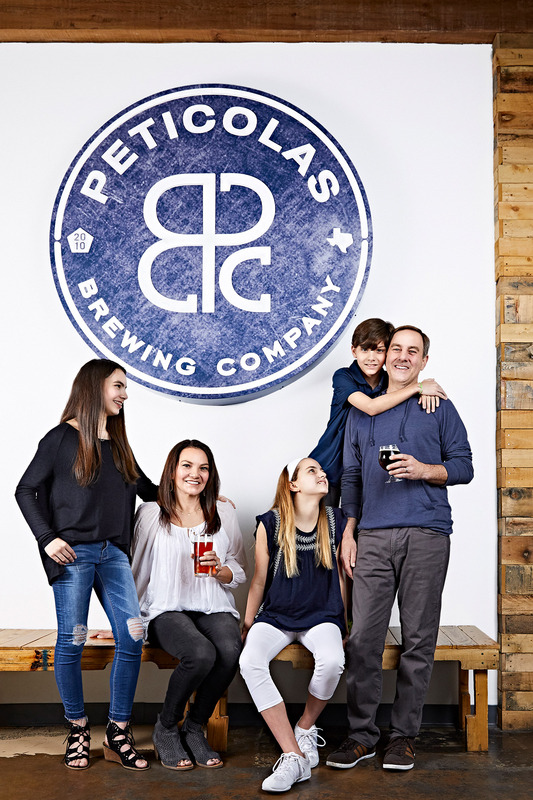 When those judges woke up late the next morning and found their clothes and deciphered their tasting notes, they determined that little Peticolas Brewing Company—established in 2011 in the Design District, funded solely by Michael and his wife, Melissa, operated for the first year without a single employee—was the Grand National Champion. They’d beaten everyone, including the estimable Cigar City Brewing, out of Florida. Having established that fact, we venture into the realm of opinion with the following assertion: Michael Peticolas is a genius. That is the only explanation I can offer for how, a couple of weeks prior to his big win in Oxford, he tricked me into waking up on a Wednesday morning at 4:30 to come help him load 160-pound kegs of beer into a truck bound for Austin on the first such distribution trip ever for Peticolas. This would be monumental or something close to it. Never before had someone outside the Dallas area been able to buy a pint of any of Peticolas’ beers. Owing to arcane Texas laws, Peticolas cannot store its beer outside Dallas County. That’s because Michael doesn’t have a deal with a distributor. And the reason he doesn’t have a deal with a distributor is what spurred him to file a lawsuit against the Texas Alcoholic Beverage Commission, et al., along with his fellow petitioners from Live Oak Brewing Company (Austin) and Revolver Brewing (Granbury), a lawsuit that right now is before the Supreme Court of Texas. More on all that later. I didn’t know Michael well, but I’d met him. He’s an affable, high-energy fellow who wears shorts even when participating in panel discussions. So when I saw a press release about this beer run to Austin, I sent him a note. I told him that a Smokey and the Bandit homage with implications on the zymological superiority of Dallas over Austin was something I wanted to be part of. On the appointed morning, I arrived in the pre-dawn darkness to hear hip-hop spilling out of the loading dock at his warehouse down the street from the brewery. Michael gave me a Peticolas Brewing t-shirt, which made me totally legit but also presented a severe conflict of interest that I will wrestle with for the rest of my journalistic career and that was exacerbated by the free beer he would later give me. We used hand trucks to ferry kegs from a huge refrigerated room into the truck. Grayson and Alex, aka Jackie Brown, were both there to help and I assume being paid to do so. We loaded the reefer, as it’s called, with twice as much beer as they’d ever hauled, the equivalent of 800 cases. The truck’s tires pancaked a bit, but Grayson had done the math and internet research; he was confident. Family Business: Michael and Melissa met in high school. Their best products so far have been (from left) Katherine, Lola, and Grey. The pentagon in the logo, with the year Michael wrote his business plan, 2010, represents the five family members. Michael and I followed the truck out of town in his well-used Toyota 4Runner. We talked about soccer and whether he and Melissa would travel to Russia for the World Cup, a sporting event they’ve made a tradition of attending. I learned that they’d met in high school, back in El Paso, where he used a fake ID to hop across the border and drink in Ciudad Juárez. Wednesdays meant “Drink and Drown Night” at a dance club called Sarawak Discoteque: $5 for all you could handle. His friend’s uncle worked at a dog track deeper in the interior of Mexico. At the jockey’s club there, beers were 65 cents. Then we hit trouble. Just as Michael and I got out of the downtown morning rush-hour traffic, Grayson, at the wheel of the reefer ahead of us, put on the hazards and pulled off I-35 at Kiest Boulevard into the parking lot of a McDonald’s. The check engine light had come on. A discussion followed. The well-being of beer was at stake. This was not a time to take risks. No deliveries would happen that day in Austin. Given my commitments, the delay meant I had to bail on the trip and would be unable to play Sally Field to Michael’s Burt Reynolds. As you might expect with a kid like Michael, who went to Texas Tech and didn’t care much for the place because the party scene there paled in comparison to “Drink and Drown Night” in Juárez, his mother deserves credit for shepherding him toward his true calling and a life worth profiling, even irrespective of free t-shirts. One day, when Michael was home from college, Jacque Peticolas poured her son a glass of her own home-brew. A school nurse who’d been divorced for many years, Jacque had always been a good cook, but Michael had no idea his mom had been brewing while he was away at school. Many years later, sitting in the taproom of his brewery, telling the story, Michael sounds like he’s recalling events from last week. “Her backyard in El Paso overlooked Texas, New Mexico, and Mexico,” he says. “It was beautiful. And we’re sitting there drinking this Mexican ale she’d made. Decent head. Looked great. I’m like, yes, this is better than a Bud or a Michelob or whatever. And my mom made this. How cool is that?” He says that, in hindsight, the experience showed him that he’s in the entertainment business as much as he is in the brewing business. As with the tornado, though, time, temperature, and other variables still had to be just right to produce the awesome power of the imperial red ale that we all now know today as Velvet Hammer. There was, for instance, Michael’s tenure as a bartender at the Olive Garden at LBJ and Greenville Avenue. But his time at UTD and that internship got him serious about his studies, which led him to South Texas College of Law Houston, where he made some friends who were into home-brewing and who later gave Michael their secondhand equipment. His first 5-gallon batch was a quadruple Belgian ale that never fermented properly and was fit only to be dumped in his yard. It occurred to Michael that Dallas didn’t have a brewery within its city limits. Brewpubs, yes. But those are really restaurants that happen to brew the beer they serve with their food. He did some research and discovered that Dallas, in fact, was the largest city in America without a single brewery. And after taking an online brewers course and then doing two apprenticeships (at Harpoon Brewery in Windsor, Vermont, and at Rock Bottom Brewery in Westminster, Colorado), Michael learned exactly why Dallas didn’t have a brewery. The city made it impossible to open one. The year 2010 was a dark one for Michael. He spent most of it trapped in the tan, featureless Oak Cliff Municipal Center on Jefferson Boulevard. This is where permits are issued and entrepreneurial ideas are tortured until they die horrible, painful deaths. Michael calls it the scariest place in Dallas. First they told him that he needed to locate his facility in what’s called an “industrial research zone.” He spent three months looking for the right location. Then, because he’s a lawyer and this is the sort of thing lawyers do, he read the Dallas Property Code and found a statute that explicitly forbade the manufacture of alcohol in an industrial research zone. So back to the Municipal Center he went. By the time he’s finished with the story, I feel bad for having triggered him. I left out the parts where he cried. He is clearly suffering some form of municipal PTSD. Michael wound up making about 100 trips to that building on Jefferson. And he ushered a Dallas Property Code amendment through the City Plan Commission and City Council. Yes, Michael Peticolas—inspired by his mother’s Mexican ale and Kay Bailey Hutchison’s secretary—actually changed Dallas law so that we could drink better beer. The first taste came on a Tuesday night in January 2012. Michael had earlier found his way to his Design District neighbor Meddlesome Moth, a groundbreaking, beer-focused bar that had been open for a little over a year. He’d met co-owner Keith Schlabs and told him he was brewing beer down the street. Without tasting the beer first or even visiting the brewery, Schlabs had invited Michael to conduct his first public tapping at the Moth. Michael was terrified. 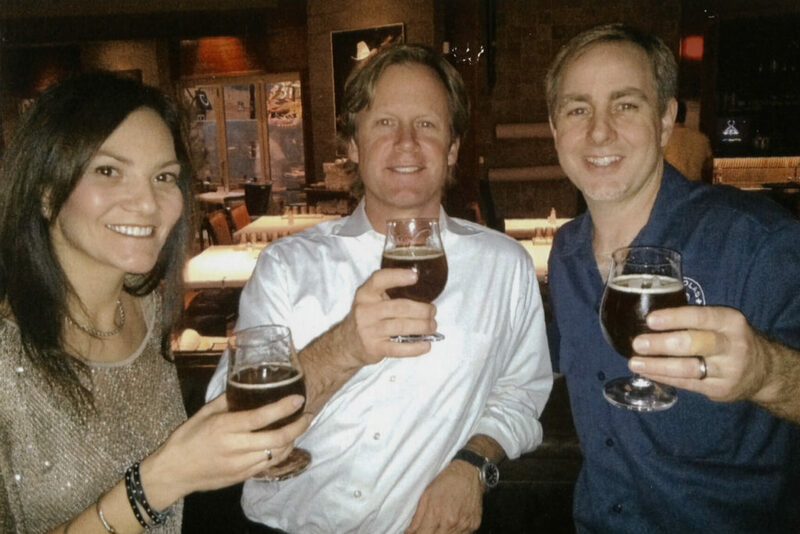 Three Cheers: This pic of the Peticolases and Meddlesome Moth co-owner Keith Schlabs was taken in 2012, on the night of the very first public tapping of a Peticolas Brewing Company beer. Velvet Hammer was a hit. Sure, he’d gotten some good feedback on his first batch of the aforementioned Velvet Hammer. Before he’d even served his first beer, a man named Charlie Papazian had dropped by the brewery. Papazian is the venerable founder of the Brewers Association and the author of The Complete Joy of Homebrewing, a guide Michael himself studied. 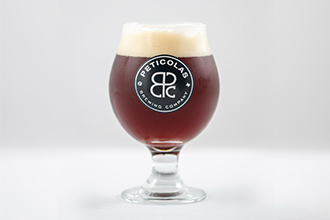 The two men had a distant mutual friend who, when he heard Papazian was making a trip to Dallas, suggested he look up the fledgling Peticolas Brewing Company. Michael had to give him a taste right out of the brewing tank. The godfather of home-brewing was impressed. But Michael had reason to worry about his debut at the Moth. First, he’d met a guy from the large distributor Ben E. Keith, and when Michael told him that his first beer would be an imperial red, the guy said, “Oof. Reds don’t sell in Dallas.” Second, it was pouring rain that Tuesday night. A lot has changed since that night. 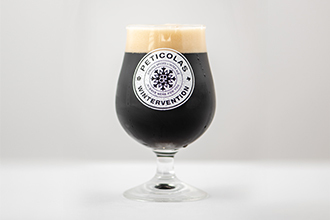 Peticolas has now released about 35 beers, with names like Sit Down or I’ll Sit You Down (imperial IPA), Wintervention (spiced winter ale), and Golden Opportunity (kolsch). It has added a tri-level taproom with Ping-Pong, shuffleboard, and foosball. And, of course, there are the medals from beer competitions. But one thing hasn’t changed. 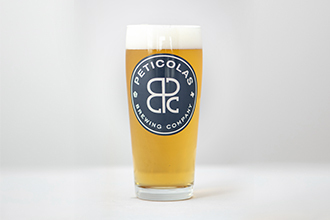 Peticolas still distributes its own beer with its own trucks. Which brings us, dear drinker, back to the lawsuit before the Supreme Court of Texas. Based on a bill sponsored by Sen. John Carona, the state in 2013 passed a law that makes it illegal for a brewer to sell its territorial distribution rights to a distributor. The brewer has to give those right away. But the distributor can then turn around and sell those rights to another distributor. It’s also nearly impossible for a brewer to sever ties with a distributor. None of that sat well with Michael and his fellow petitioners. They won at trial, then lost in appellate court and filed a petition for discretionary review by the Supreme Court. Any day now, the court will decide whether it will hear the case. Nearly 50,000 votes were cast in the primary. Carona lost by 632. At that moment, I was ready to follow Michael Peticolas anywhere, anytime. At least until his check engine light comes on. The winter ale is spiced with nutmeg, cinnamon, and ginger (all provided by local spicemonger Pendery’s, a half-block from the brewery). English hops and high-quality malts give this beer its backbone. ​The flagship imperial red ale is malt-forward with elements of caramel and the sweetness of light brown sugar, balanced by floral hops and a​n​ alcohol bite. It won a gold medal at the 2018 U.S. Open Beer Championship. The kolsch is a medium-bodied brew with a light, pleasant malt aroma and a hint of sweetness and faint bitterness. It is clean, well-balanced, and suitably carbonated for a crisp, refreshing feel. 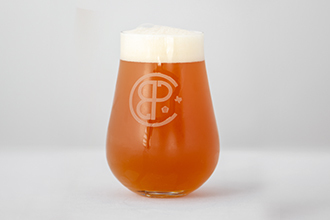 The imperial India pale ale is dry-hopped with more than a pound of hops per barrel. Its floral ester aroma and hop bitterness are high but not harsh. The malt character is robust and provides a full mouthfeel.